Serving the Greater Sacramento Area! 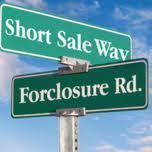 Many people are getting conflicting information about the pros and cons of doing a short sale vs. foreclosure. It is our job as Realtors to ensure our clients get the right information to make the best decision possible for their situation. This means making sure our clients consult with an attorney/CPA prior to engaging with their Realtor as they are experts in their field. Once our clients have met with an attorney/CPA, we can provide supporting documentation and scenarios to educate them prior to our first meeting. Knowledge is power, and by this time your client will have all the pertinent information to begin a discussion about how to move forward with their Realtor! Of course, we can share our experiences of what our previous clients have done that worked, but every situation is different. I would hate to give advice that negatively impacted my client for years to come! I am a Realtor with Lyon Real Estate in Roseville, CA. It’s a Good Time to Sell!